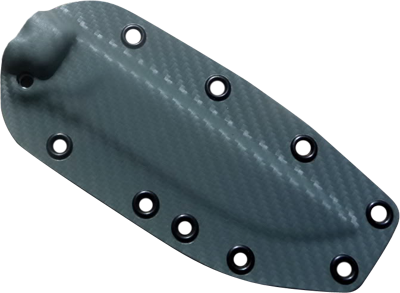 Dave Brown of Buy Brown Industries is a sheath maker specializing in kydex. Dave carries most models of Busse knives so there is no need to send your knife in to him. His kydex sheaths come in standard black, desert camouflage, olive drab, woodland camouflage, carbon fiber, and chocolate brown. Custom designs are also welcomed. For more information, please visit BUY BROWN INDUSTRIES.